Red Chillies Entertainment, along with the other co-owners of the Kolkata Knight Riders (KKR) cricket team (including film stars Shah Rukh Khan, Juhi Chawla and others), is keen to extend the brand to other countries. After its success with Trinbago Knight Riders (TKR) in the Caribbean Premier League (CPL), where the Knight Riders franchisee won the 2015, 2017 and 2018 seasons, the franchise is now targeting the opening of chapters in South Africa and UAE. And, to expand its merchandising business across the globe with these franchises. 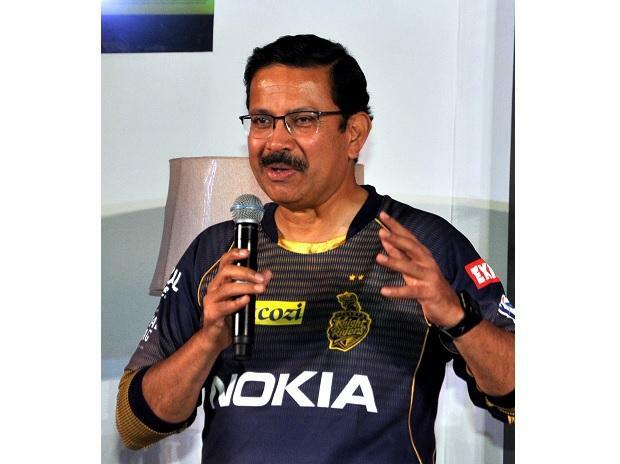 Venky Mysore, KKR’s managing director, said it had already been offered the Cape Town team for South Africa’s premier cricket league. The brand can also be extended via team formation for the coming T20 cricket league planned by the Emirates Cricket Board. In the South African league, each of six teams play each other twice in a home-and-away format. At conclusion of the league stage, the team topping the table will progress to the final as the host. The first and second runner-ups compete each other to take on the host in the final. Such a round-robin (the term refers to a tournament where each team plays each of the others by turn) format is also used in global soccer tourneys such as the qualification games for the FIFA World Cup, UEFA European Championship and others. “In the UAE, they (the cricket Board) are talking about launching a league and they want us to come and take a team. We are looking at this and it could happen this year itself. There might be four-five franchisees. Once we have five franchises, we will be playing round the year,” Mysore said. After the launch of KKR in the Indian Premier League, Red Chillies Entertainment and the Mehta Group joined in 2015 to take a stake in Trinidad and Tobago Red Steel. It was one of the six original teams in the Caribbean Premier League and later renamed TKR. The latter sports the same icon, logo and emblem of KKR. The franchise is also testing with the jerseys and colours. The TKR jersey is red, black and white, while their practice kit is purple and gold, the KKR colours. It is vice versa for the Indian franchise. In 2016, KKR introduced jerseys and other merchandise and this has expanded to cover a wider range of products — travel polos, shoes, bomber jackets and others. “We have a similar range for TKR. I think the franchise model which we have developed and reached successfully is where other franchises would aspire to go. We are ahead of the game,” said Mysore. Similar merchandise is expected to be introduced in other places after the Knight Riders brand enters the country. Of its total revenue, merchandise sales are 12-15 per cent and growing 35 per cent annually. The biggest contributor to the consolidated turnover is sponsorship agreements, 30-35 per cent and expected to see 20 per cent growth this year. Another 15-20 per cent of total revenue comes from ticket sales. The KKR team broke even in 2012 and wiped out its cumulative losses to become debt-free in 2015. Mysore says KKR has been getting several proposals from other field of sports — badminton, football, volleyball, wrestling and others. These often don’t fit into its strategy or the financials don’t work out, he explained. “While we look at everything, it is cricket we are more into. We are on a track of finding more ways to globalise our brand. It is probably the only global brand in sports today,” he said.